Gynecomastia is defined as an enlargement of the male breast. It is often benign, and can be the source of significant embarrassment and psychological distress. A general medical history and careful physical examination are essential to distinguish normal developmental variants from pathological causes. Treatment is geared toward the specific etiology when identified. 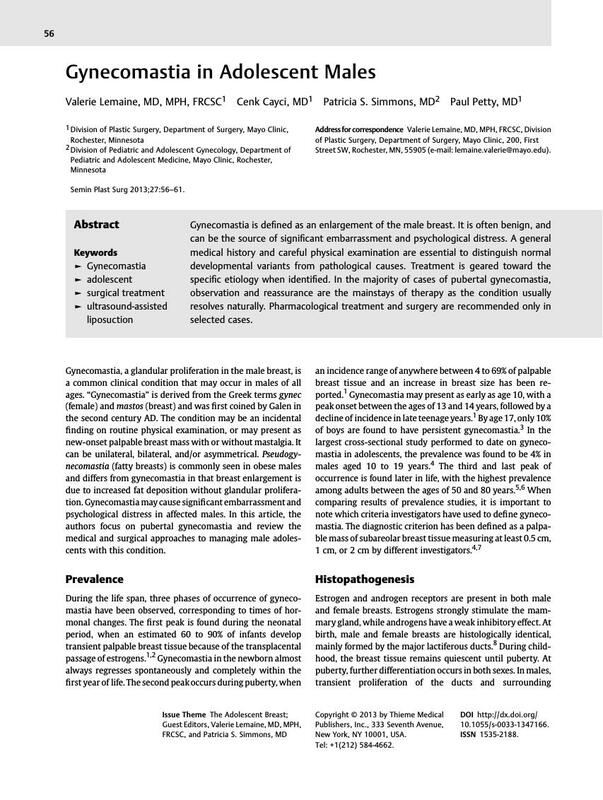 In the majority of cases of pubertal gynecomastia, observation and reassurance are the mainstays of therapy as the condition usually resolves naturally. Pharmacological treatment and surgery are recommended only in selected cases.